Occasionally a doctor will call in and ask for a change to be made to a prescription form, a treatment setup or a revision request. While support is happy to answer any questions you have about this, there are legal liabilities to us verbally receiving these instructions and forwarding them to the technician. Meaning that we will be required to ask you to log into the doctor's portal and request these instructions directly. If you have a treatment setup pending approval, you can update your prescription by declining the treatment setup and communicating the new information to the technician in your notes. If you’ve already approved the treatment setup, you may need to request a revision and make your changes there. If your treatment setup is not available yet, (it was recently submitted or declined), feel free to contact support for assistance. You will receive an email notification once your new treatment setup is ready to be viewed, either right away, at the end of the day, or at the end of the week, depending on how often you've asked to receive notifications. Doctors often request a revision for some final touch-ups to hone in on the treatment goals. For instance, you might want to request some additional aligners to close a gap or complete a rotation, moving the teeth into their final position. Determining if treatment is finished to your standards and your patient’s satisfaction once the last aligner has been worn gives you both the opportunity to take advantage of all options for correcting any undesirable issues. Sometimes, your perception of a nicely finished case is different from the patient’s. When you give the patient an opportunity to express their satisfaction of the treatment result before announcing that treatment is finished, your patient will feel like you care about how they feel about their result. 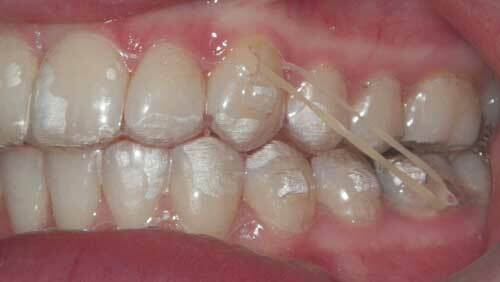 Patients are most aware of “imperfections” with the upper and lower incisors. 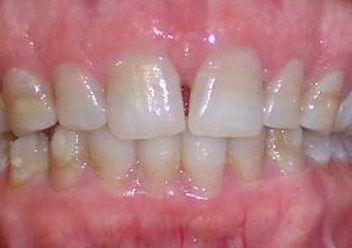 In the example below, there’s not enough space to align the upper left central incisor. 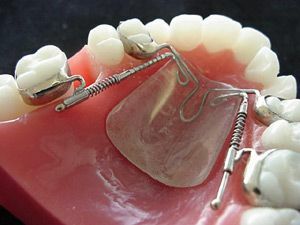 A situation like the above requires a revision to provide more expansion or proclination to open sufficient space to optimize the alignment of those incisors; there is too much crowding for IPR. In many cases of mild incisor edge irregularities, conservative enamoplasty to smooth the incisal edges slightly will significantly improve the appearance of the whole smile line and impress the patient with how much better their teeth look. Not every case will end up with an idealized, fully interdigitated Class I occlusion like the example above, and not every case needs to. It's up to you and your patient to decide what goals you're happy with. If you are aiming for absolute perfection, it's probably going to take some fine-tuning to get there. 6. Posterior openbite due to intruded posterior teeth. This is thought to be caused by extreme masseter activity when wearing aligners and is the most commonly proposed etiology, which is an intuitive explanation, but not proven by clinical research. Black triangles can happen with any method of alignment, including traditional braces. This is a natural consequence of alignment correction, so it can't always be avoided. When you evaluate a treatment setup, sometimes you might want to make some adjustments before you click approve and order your aligners. For example, if you forgot to mention something on the case submission form, this is your chance to let the technician know. Or, maybe your prescription was complete, but you want to adjust the position or movements of the teeth once you see them in the setup. You can slow down difficult movements. Moving less per step can help roots stay upright and translate, rather than lagging behind and tipping. (Of course, the tradeoff is more steps and longer treatment time, so this is where Unlimited pricing really shines.) Our default movement protocol is 0.3 mm per step. You can adjust the wear schedule to 1, 2, or 3 weeks. You can let us know that you'll be extracting a tooth if you find that you need to create more space than IPR and expansion can handle. (Remember to translate the teeth slowly to avoid tipping.) You can also request vertical engagers on either side of the extraction site to help keep the roots parallel. 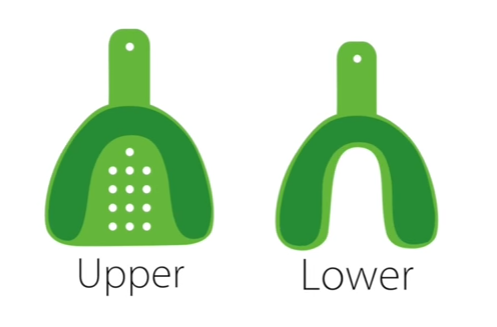 The technician does not need to know exactly when or how you're modifying the aligners, but you should tell the tech that you plan to use elastics so we can properly adjust the angulation of the upper and lower incisors. We don't simulate the effect of elastics, so the setup may not accurately represent all of the Class II correction that you hope to acheive. You can adjust your engager preferences. Remove or reduce engagers (current research indicates that we may not need as many engagers as traditionally thought). Request vertical or horizontal engagers. Specify when to place or remove engagers. Add engagers as anchorage for intrusion and extrusion. Add engagers to increase aligner retention with short clinical crowns. You can also adjust your IPR preferences. Schedule IPR for specific stages. Adjust the scheduled amount per appointment between 0.1 to 0.3 mm. Consider the full arch when deciding how much IPR is needed. If you want to make an adjustment to a treatment setup,click DISAPPROVE and let us know what you want to do. Our technicians will do their best to make any changes you request and upload a new version for your approval within a few days. You will receive an email notification after your new treatment setup is ready to be viewed, (either right away, at the end of the day, or at the end of the week, depending on how often you've elected to receive notifications). We hope this helps you tailor each prescription to your patient's needs. 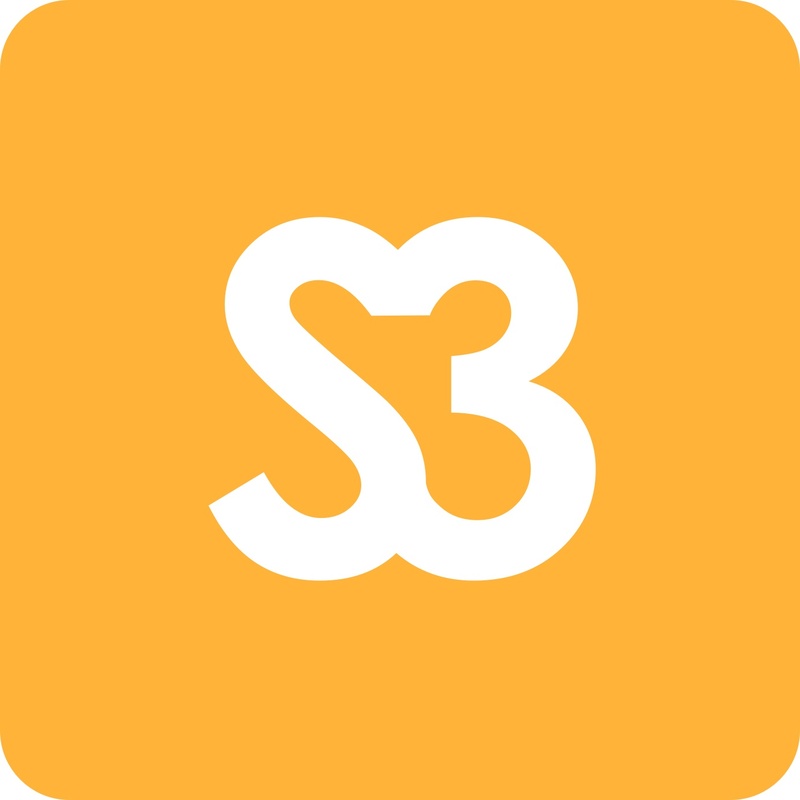 We've recently partnered with S3SB, a prestigious Los Angeles web design and marketing agency, to provide online marketing and practice-building services customized for ClearCorrect providers. You can call (855) 674-S3SB or click below to receive a free marketing evaluation. P.S. You know what goes great with a redesigned website? Our Practice Success workshops! You can learn more marketing tools and tips for building your practice from orthodontic specialist, Dr. Duane Grummons. Check out our upcoming sessions in New York, Las Vegas, and Orlando or check out our Practice Enhancement e-course, coming soon! 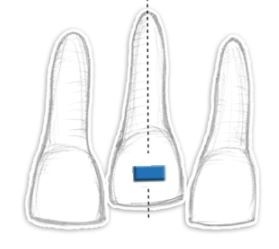 When submitting a case with physical impressions, we only accept PVS impressions on disposable trays. For more information on best practices with taking impressions, see the full article here. Per our terms and conditions, alginate impressions, stone models, and metal impression trays will be rejected. These and all other submitted materials become the property of ClearCorrect and will not be returned. Metal trays cannot be run through our scanner, requiring a pour up process which, as mentioned above, is prone to error. We hope this helps to clarify why these materials will be rejected. If you have any further questions, feel free to check out the articles relating to this in our help center. You may also contact our support team at support@clearcorrect.com or at 888-331-3323. Making sure that the treatment setup reflects the treatment goals for you and your patient is probably the most important part of the case submission and approval process. It’s essential that you know what to look for and the best way to communicate these needs to your technician. Here are our suggestions or “how to” for evaluating a treatment setup. Begin with the end in mind – make sure you’re focused on the treatment goals for your patient when evaluating the treatment setup. 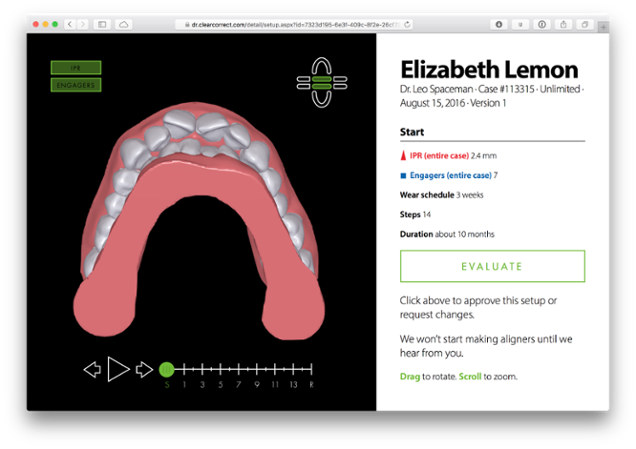 Put the timeline of the treatment setup in the starting position and tilt the model up to check for gaps between the upper and lower incisors—comparing this view to the patient’s photographs and records can reveal any improper bite registration for the model. From the front view, check the midline relationship. 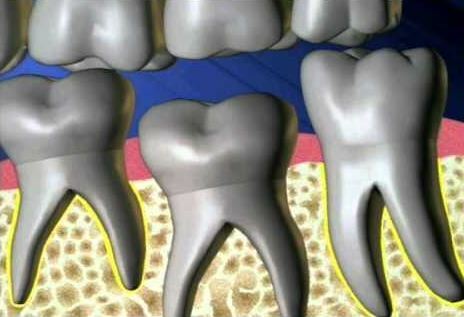 Use the occlusal views to confirm that the impressions or intraoral scans accurately captured the shape of the teeth. If you’re satisfied with the starting model, carefully review the subsequent steps to verify that the planned tooth movements are safe and effective. Verify that any recommended IPR and engagers are sufficient to achieve your goals. If you requested overcorrection or a digitial power chain, verify that you are satisfied with these. 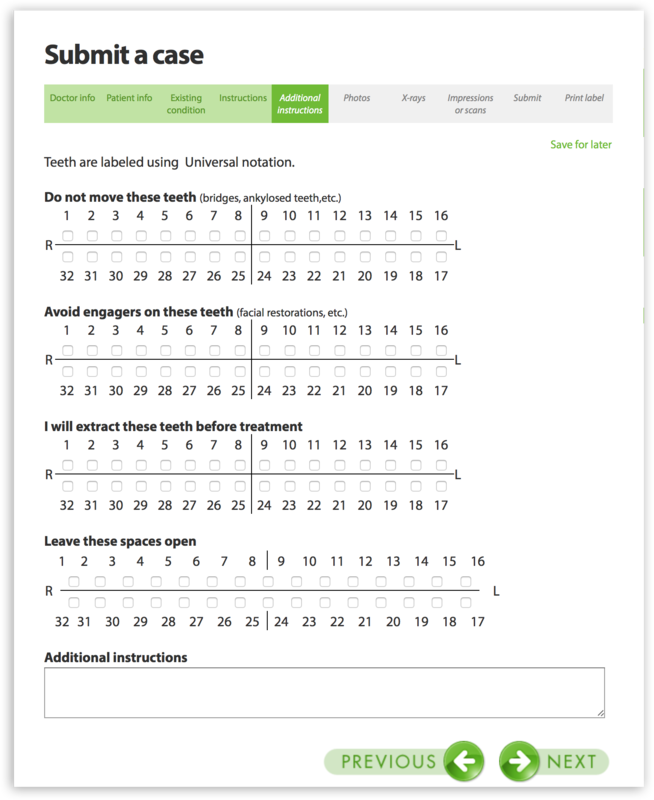 Note the number of required aligners and wear schedule. We hope this information proves helpful when reviewing your patient's treatment setups. New to clear aligners? Start here. 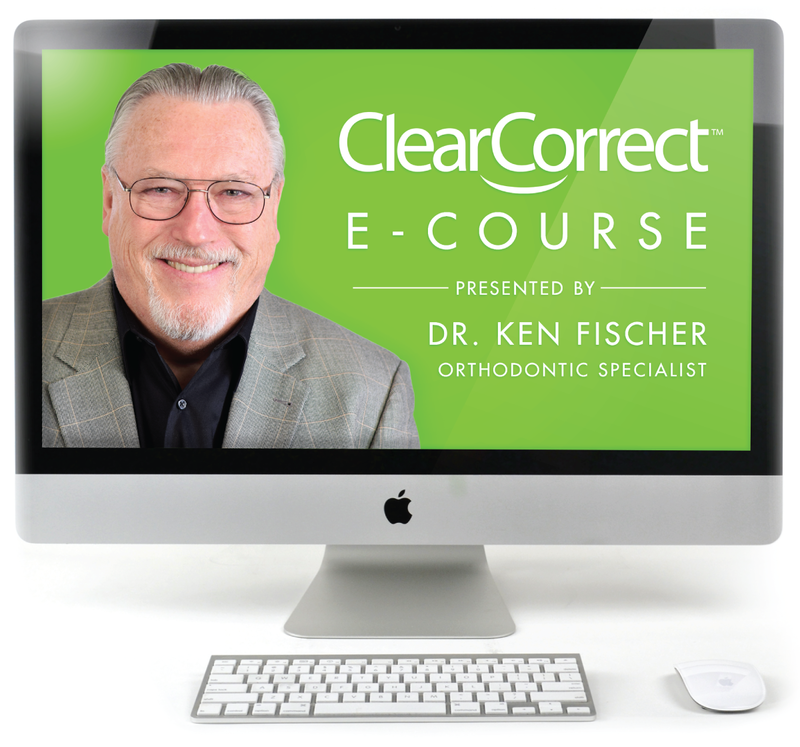 This course will provide you with the skills and confidence you'll need to begin treating patients with ClearCorrect. Learn how you can take your practice to the next level with a ton of useful marketing and managing insights accrued over decades of first-hand experience. 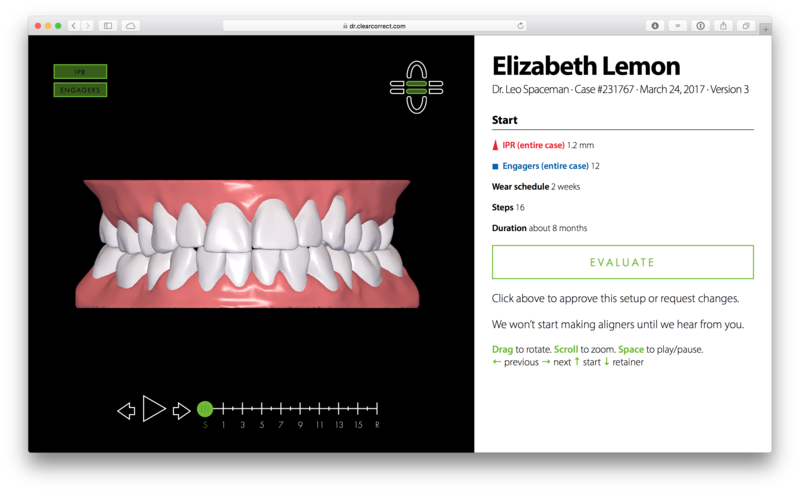 If you've got a good amount of experience with clear aligners, but you're looking to do more complex cases, we highly recommend this course. Dr. Ken Fischer has been practicing as an orthodontic specialist in Southern California since 1975. He is a former president of the California Association of Orthodontists and a former council chair for the AAO. Dr. Fischer embraced clear aligner treatment in 2000 and has treated a broad spectrum of malocclusions in over 1200 patients. He served on the Invisalign Clinical Advisory Board for 13 years, but now serves ClearCorrect as its Clinical Advisor. He is the author of a number of published articles, a mentor, domestic and international lecturer, and consultant for clear aligner orthodontic corrections. You received this email because you are subscribed to Announcements from ClearCorrect. This week we have some additional education and tips on non-compliant patients. With clear aligners the deliberately non-complaint patient may be less common. But differentiating the two may help you to understand them better. Here are some tips on this which don't promise to resolve the issue, but may help us to better motivate the non-compliant patients. Is there an underlying reason for the non-compliance? Understanding the specific issue for that patient can help you both to come up with workable solutions. Having the patient repeat your instructions back to you can help to ensure that they have been accurately understood. Involving the patient from the initial consult, to records, to appointments and retention with details of the procedures and a timeline can help to enlist cooperation. Be honest when non-compliance is suspected and remind patients without scolding them. For example "I'd like to see you finished by ___ date, can we work together to make this happen?" Let them know you care. Listen to patients. Sometimes they have life events or situations where aligner wear may not be the highest priority. Let them know you are there for them no matter what and you will bend over backwards to help them achieve their goal of a beautiful smile. All documentation is important as is true in most industries. For non-compliant patients it is especially good practice to document throughout treatment, as you may need this later. For further information on non-compliant patients, visit our help center here.